Are you familiar with quote “Those who forget history are doomed to repeat it”? Well, in the digital world, this is very apt as “Those who do not back up are doomed to repeat it.” Far from the good old days when documents are kept through tangible hard copies, today’s digital documents are not easily stored in a box or cabinet for safekeeping where you can actually see and hold them to check them. So to save us from the doom of loss of data, WeChat developed its Chat History Back-up feature to save conversation histories and restore them to any device for up to seven (7) days. It will only take us 3 very simple steps to activate WeChat’s History Back-up. Start by selecting "Settings" > "General" > "Chat History Backup" and then clicking “Back Up” for the conversations you’d like to store. Once you’ve saved your chats, you can also add a password to protect them. 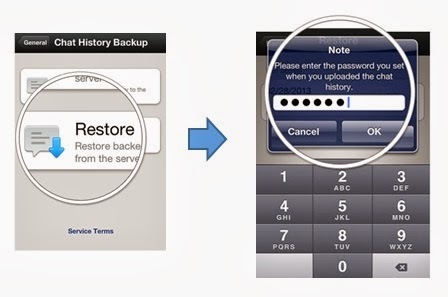 Now, if you need to restore your conversations on any device, all you need to do is log-on and tap on “Restore” on the Chat History Back-up window. 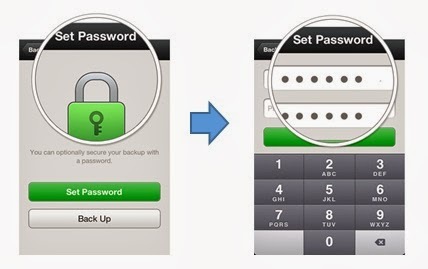 The back-up history file will then be restored to your device from WeChat’s cloud storage. So when are the times WeChat can save you from the doom of loss of data? Below are the top 3 instances when you can access your info anytime, anywhere. Annual celebrations such as birthdays, anniversaries, or just about any date set for yearly memorials are vital details that should not be forgotten. Give your memory an instant boost by referring to Chats histories, which may contain information to reminder you of these occasions. Chats with your sister could contain some plans the both of you conceived weeks before. Conversations with your barkada could remind you of the annual Panagbenga Festival at Baguio City which you’ve planned to go to together. If you often run for errands, you would easily observe how digital messages have already replaced Post-its and refrigerator notes pinned through a magnet. Your mom could’ve sent you the grocery list via WeChat. Building a bike? One quick scroll into your history could bring up a message from your dad with DIY instructions helping you assemble your gear just in time for your mountaineering trip to the dirt trails of Rizal or Bulacan. Notebooks, planners, emails and now, digital conversations with colleagues, are currently the most used reference points for work-related tasks. So if ever you forgot an important detail from your teammate relayed over your WeChat group, no problem! Simply retrieve your files either on your laptop, work or personal phone and you can directly proceed to finishing your task. So are you looking for a reliable social messaging app that can back-up your data? Download WeChat now at Google Play Store for Android or Apple App Store for iOS for free. It is also available for free download for Blackberry, Windows Phone and Symbian operating systems. For the latest updates, you can visit www.wechat.com and follow them on their official Facebook page for their local news and updates.